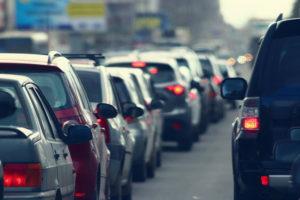 Make the most of your daily commute by following these tips. Your daily commute, whether you get behind the wheel and drive or hop on a bus, doesn’t have to be a bad experience. Commuting can be a stressful process, from traffic to delayed buses. To enjoy, rather than endure, the commute, check out how to reduce the stress that your daily journey can bring. One of the problems with modern commutes is that they are no longer productive. Set devices to Do Not Disturb mode so to create short pockets of time to digitally detox and unplug from social media. This is especially important for drivers behind the wheel – avoid using your phone at all times while in the car. Your commuting time doesn’t always have to be full of work concerns and thoughts. Download a podcast or audiobook to recharge and catch up on engaging information. Eating certain foods, such as blueberries, can help you relax and unwind. Blueberries are naturally high in antioxidants and vitamin C, which give the body resilience against stress. While you’re at it, sip on water instead of guzzling your morning soda or coffee! Water will help to keep you awake and hydrated for the day ahead. For drivers on the road, it’s easy to get frustrated during traffic or when stuck behind a learner or a senior driving slowly. If other commuters are the main source of your commuting woes, then we should acknowledge that we’re likely also part of the wider problem. Be a defensive (but courteous) driver to stay safe and sane! For most, feeling rushed and late is common on a daily commute. To solve this, quite simply set your alarm 10 minutes earlier and lay out your clothes and pack your lunch the night before so that you can leave on time and not feel stressed to rush. Rest easy knowing that you have the right protection in place. Skip the search of finding the right insurer for you. Secure your needed auto insurance by contacting the professionals at Bell Black Insurance today! We serve those in Idaho Falls, Island Park, Driggs, Victor, Swan Valley, Ashton, and the neighboring communities in Idaho, as well as Jackson and Star Valley in Wyoming.